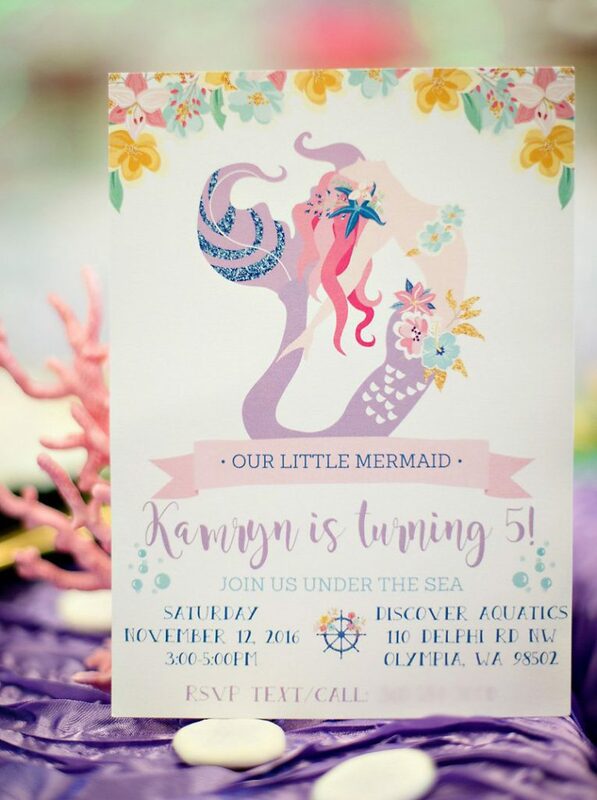 This gorgeous invitation by Err Designs inspired the overall look and feel of our mermaid party. We loved the ethereal quality of the mermaid and the beautiful color palette. 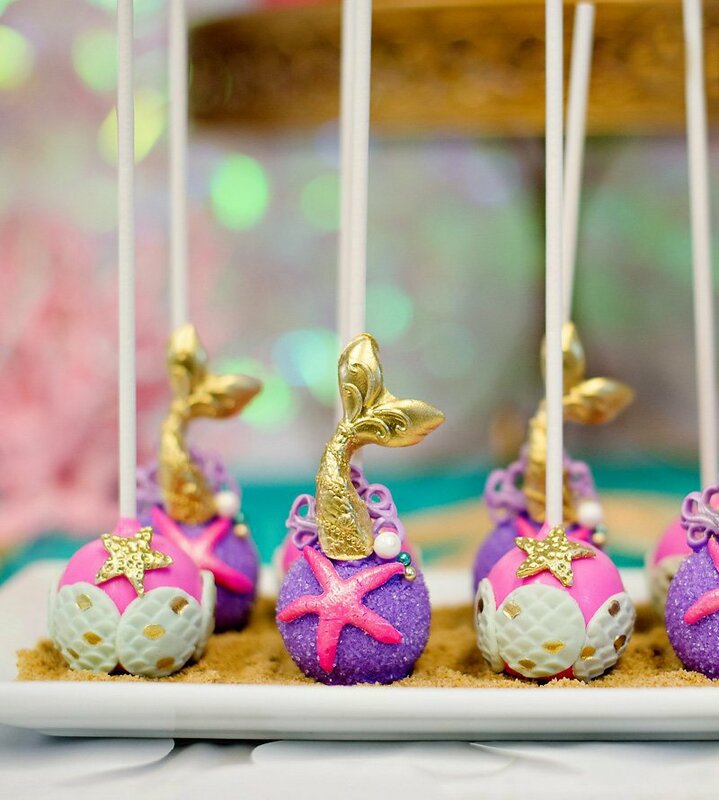 Bella’s Bakery and Bowtique designed the most exquisite mermaid cake pops. Just look at the detailing! I don’t think we’ve seen more beautiful cake pops. We displayed them on a bed of brown sugar sand. We painted paper mache treasure chests gold and filled them with imitation seashell bracelets and a fun variety of treasure from Oriental Trading (gold coins, pearl beaded necklaces, mermaid characters, taffy and lollipops). The Sugar Canvas Boutique Bakery prepared these beautiful custom sugar cookies! Colleen made several gorgeous cookie designs for our event. 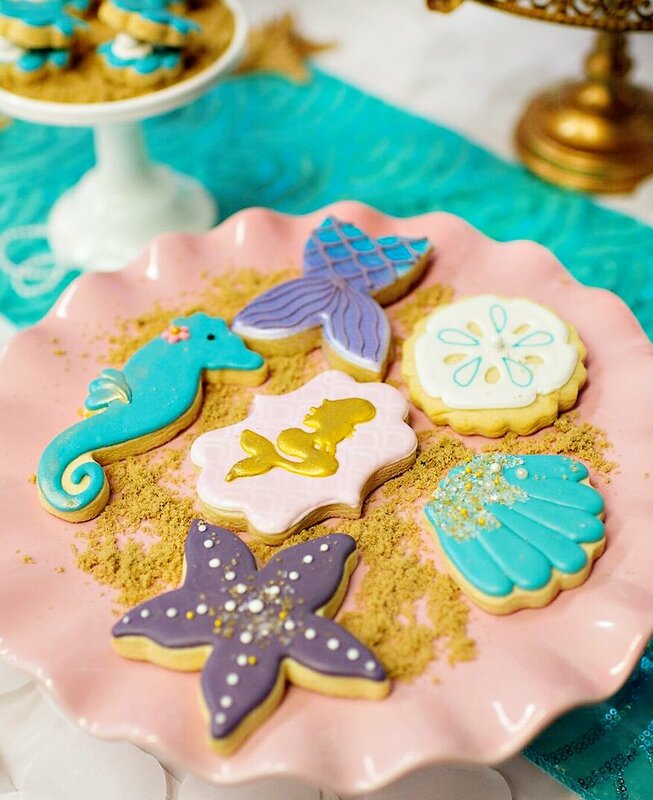 Featured on the dessert table are the 3-D oyster shell cookies with edible candy pearl and the under-the-sea cookie vignette including seashell, sand dollar, mermaid tail, mermaid and seahorse cookies. 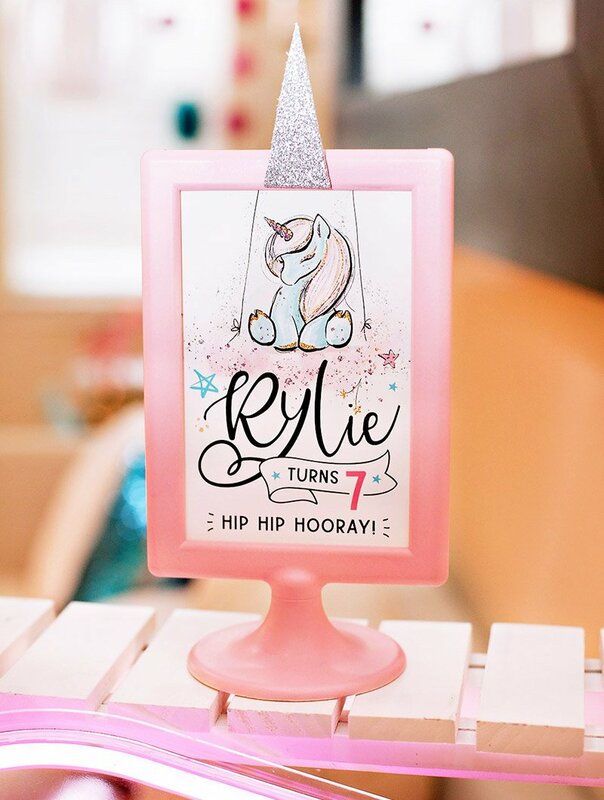 Turning 5 is a magical milestone! 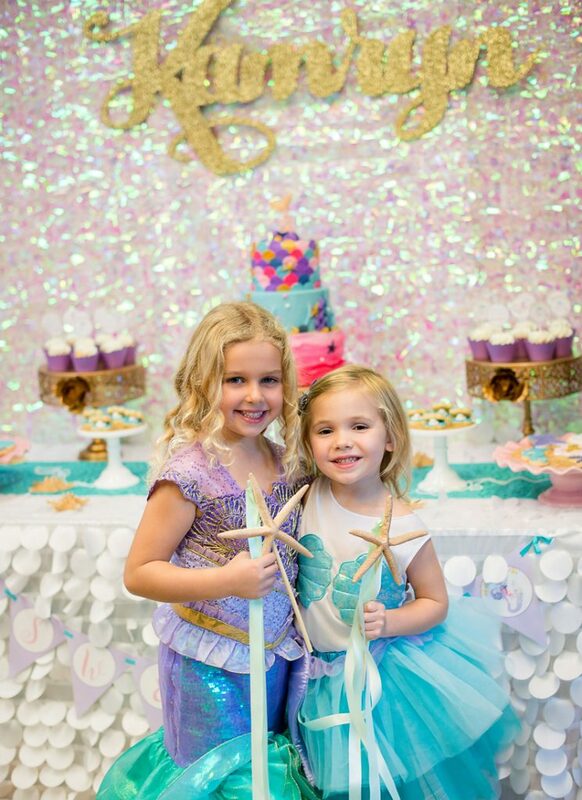 We threw my daughter a magical mermaid birthday party full of girly and glam details to celebrate her 5th birthday. 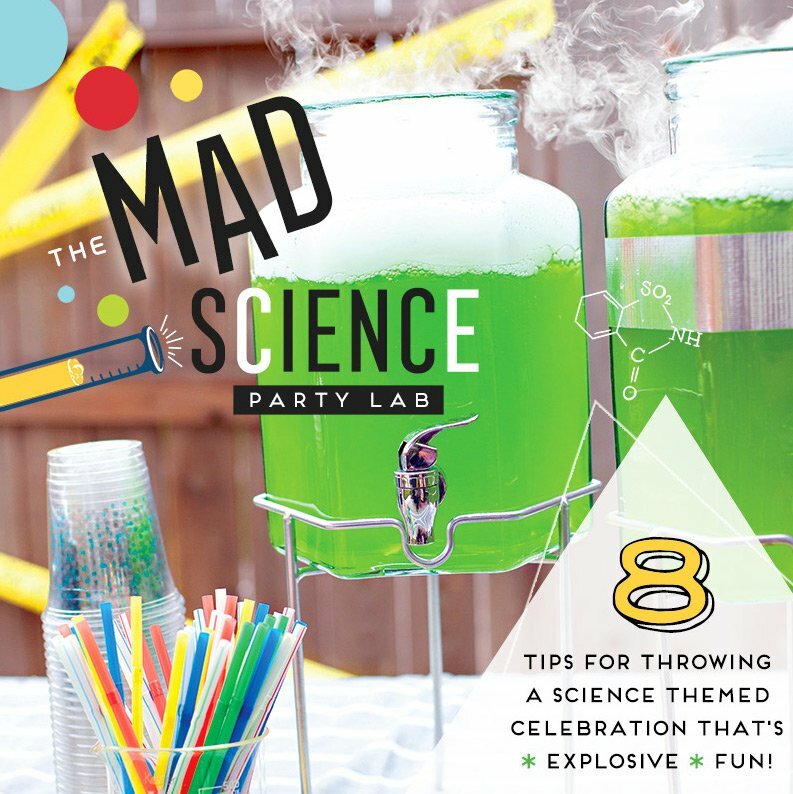 Jen Carver of Banner Events and I had a lot of fun teaming up on this party, especially with all of its sparkly decorations, gorgeous sea-inspired desserts, beautiful costumes, and thoughtful party favors! 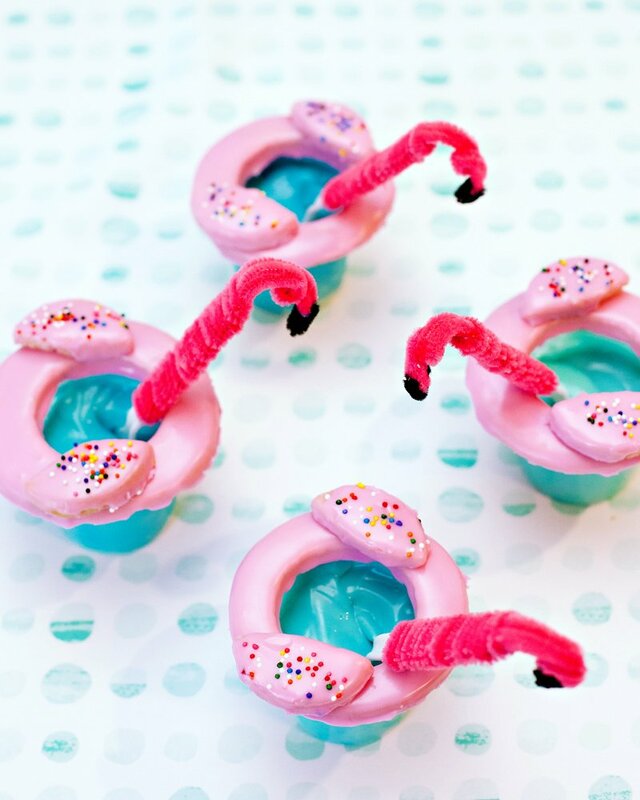 A mermaid party definitely needs some mermaids! Thanks to Chasing Fireflies, our guest of honor felt like a princess wearing The Ultimate Collection Disney Princess Ariel Costume for Girls. 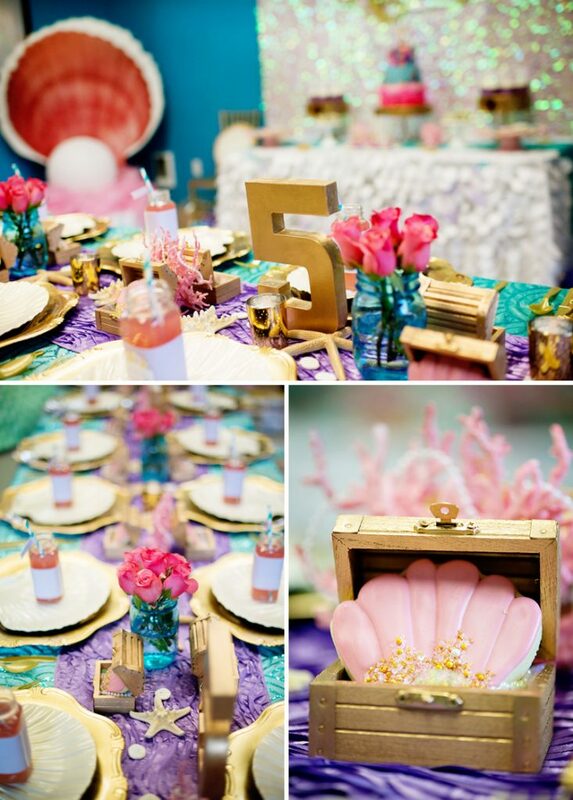 We wanted the dessert table to mimic the gorgeous iridescent scaled look of a mermaid’s tail. First, we hung iridescent floral sheeting from Shindigz to serve as a sparkly backdrop. Next, Lauren from Ten23 Designs created a custom gold glittered wood name sign to help highlight our guest of honor. The sign was beautiful and easily hung on our backdrop with clear fishing line. Finaly, we used a variety of latex balloons to create a “bubble” balloon garland around the backdrop. These garlands are surprisingly easy to create! First, blow up your balloon mix, being sure to inflate some more and some less. Next, attach the balloons in random color and size order to fishing line by tying them directly to the line. Finally, use strong clear packing tape to hang the garland from your backdrop. The table was draped in a white petal taffeta tablecloth and aqua colored “mermaid scales” fabric runner. Jen also strung lengths of white pearls onto faux coral and scattered gold starfish around the table. 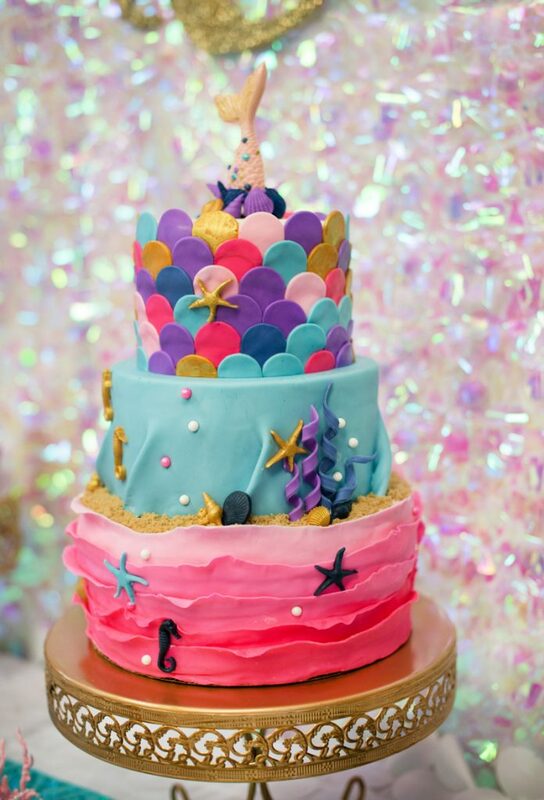 Christina of 4 Kids Cakes designed the beautiful mermaid inspired cake, which came complete with an ombre-ruffled bottom tier! 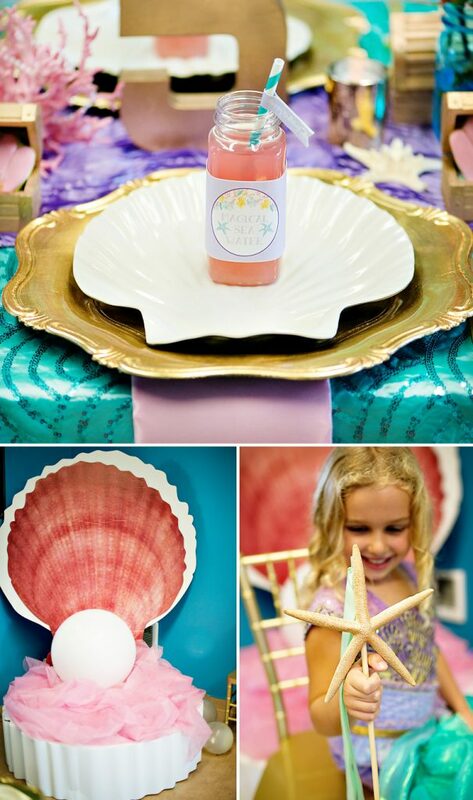 She also crafted a 6″ mermaid tail for the cake topper. It was a definite show stopper! Beautiful tablecloths were sewn from sequined, turquoise “mermaid scales” fabric and topped with a lilac satin table runner. Blue Mason jars filled with pink roses and gold paper mache 5s served as the centerpieces. Finally, the center of the table was sprinkled with pearl beads, faux coral, gold flecked mercury votive holders, sand dollars and gold. 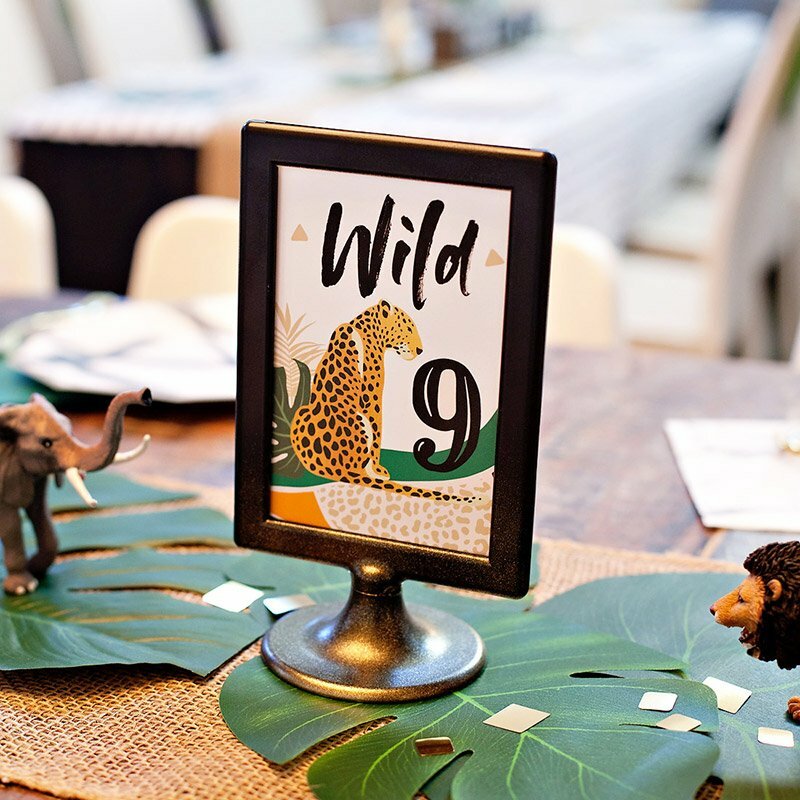 The place settings were our absolutely favorite element of this party! Lovely shell plates were layered atop fancy gold chargers and a pink satin napkin. Plastic square bottles from our shop were embellished with “Magical Sea Water” labels. 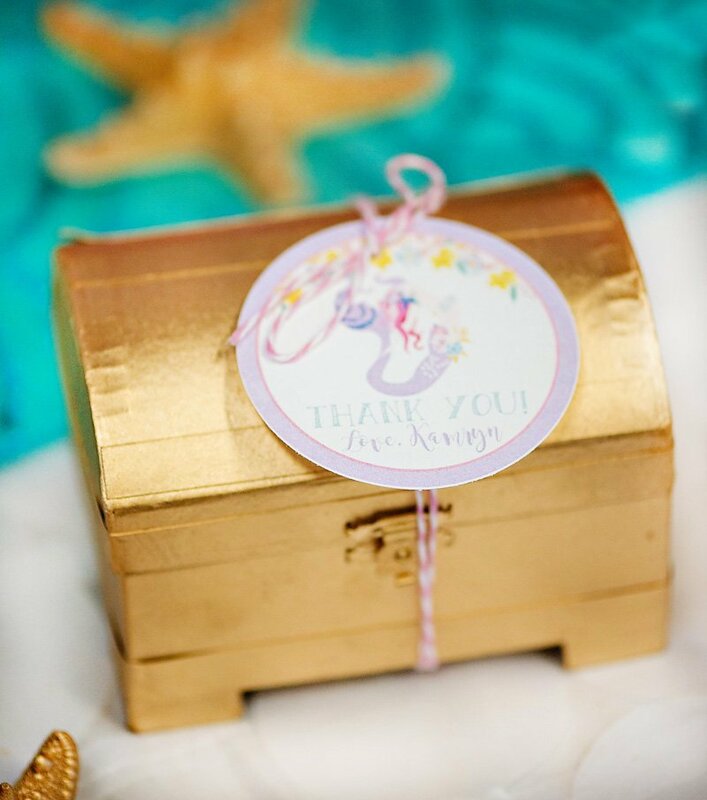 We also filled gold treasure boxes with strands of pearl beads and a delicious seashell cookie. 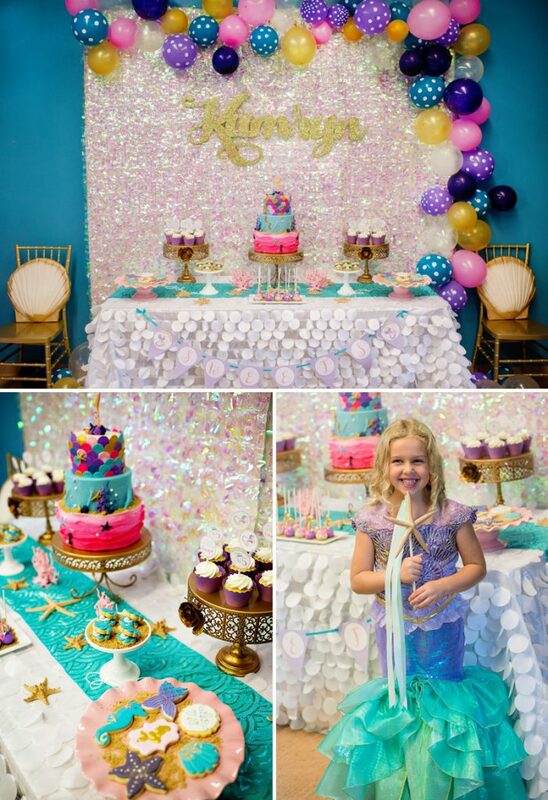 This is a little girls dream party, I want an adult mermaid party after seeing this. Event YardCard in Boca Raton has the cutest mermaid/underwater theme. You can see it here in their gallery http://www.eventyardcard.com/gallery not too expensive either. 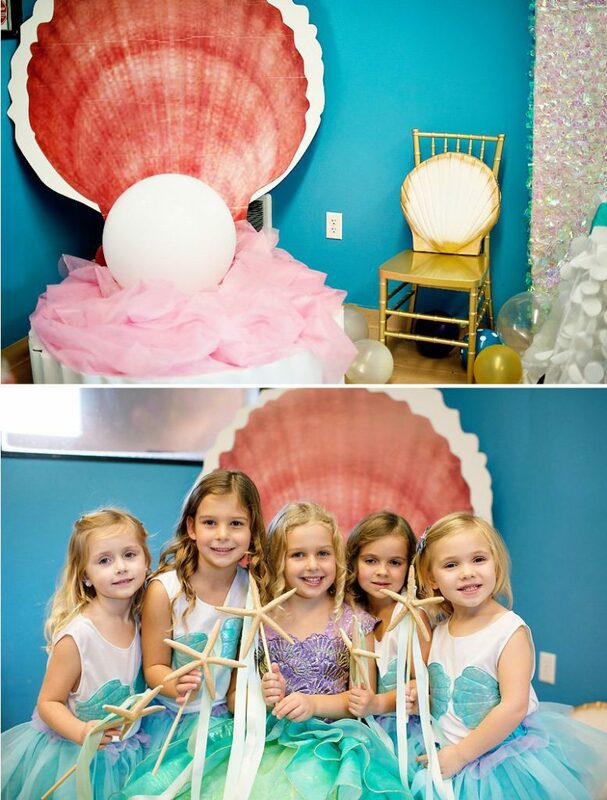 This amazing theme of magical mermaid birthday party is certainly one of the best ideas to try out for the little girls’ birthday c celebrations. 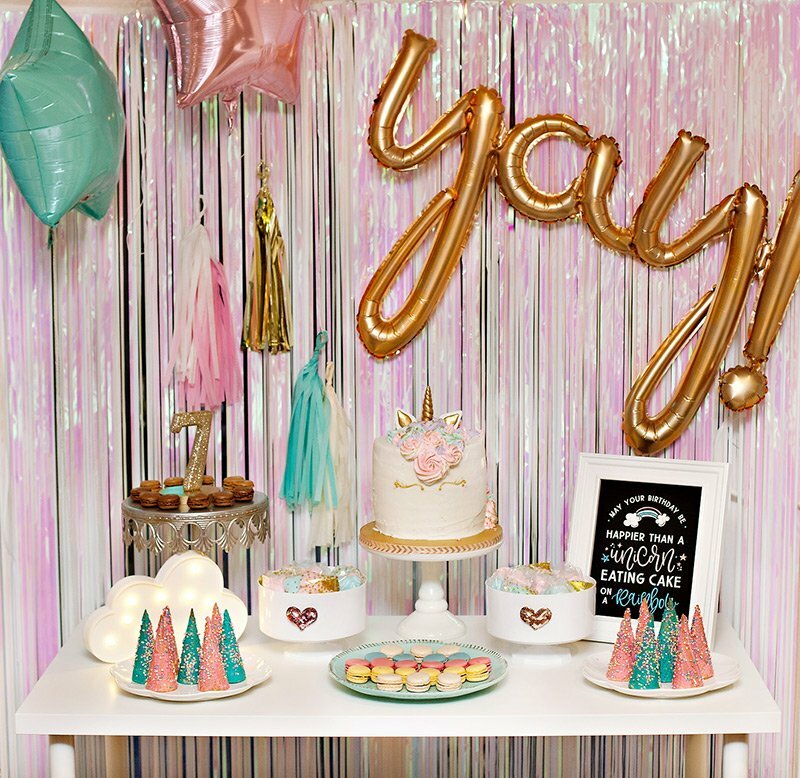 The pictures in the blog are the proof of the fact, how ethereal it looks and how incredible it would be to choose this birthday theme.